WH Geomatics works on an Enterprise ArcGIS Server that allows us to manage and access data across a diverse range of systems and applications. 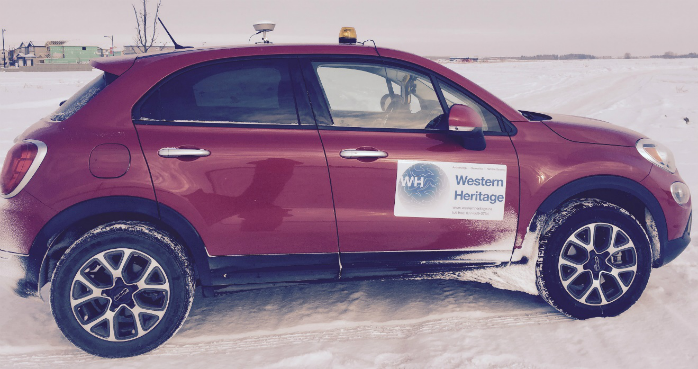 WH Geomatics has many years of experience in maintaining Road Network data (including in-situ collection, verification, digitizing and rigorous QA/QC) within client timelines while meeting industry standard accuracy levels. This is accomplished through multiple administrative processes, municipal engagement and a field campaign. All the database transaction types (i.e. 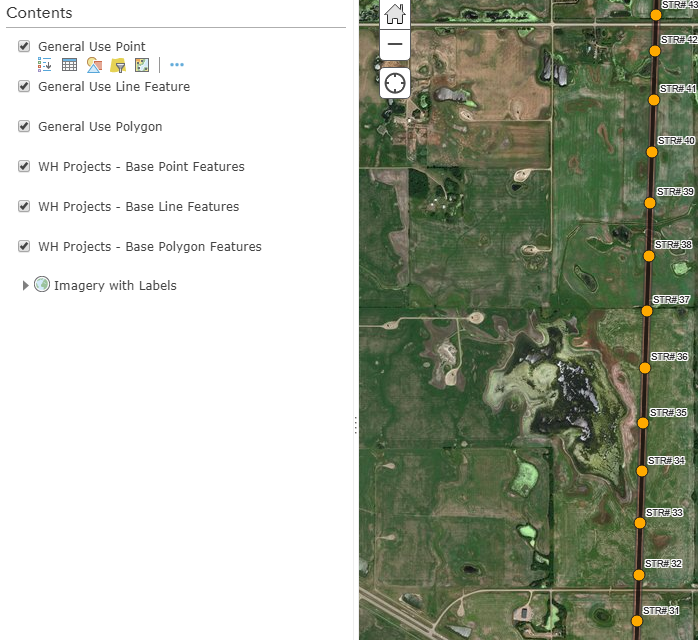 creating, modifying, validating and deleting feature records) are implemented locally and distributed to stakeholders through the ArcGIS Server. 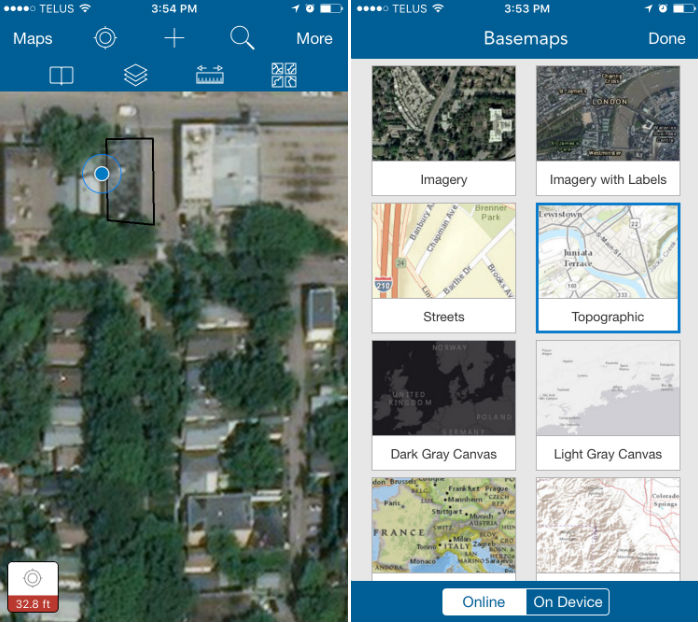 We are also field-ready to deploy staff to the field using iOS or Android mobile devices with custom map-centric (Collector) or form-centric (Survey123) survey applications. These applications submit data right from the field to our server infrastructure and GIS databases. 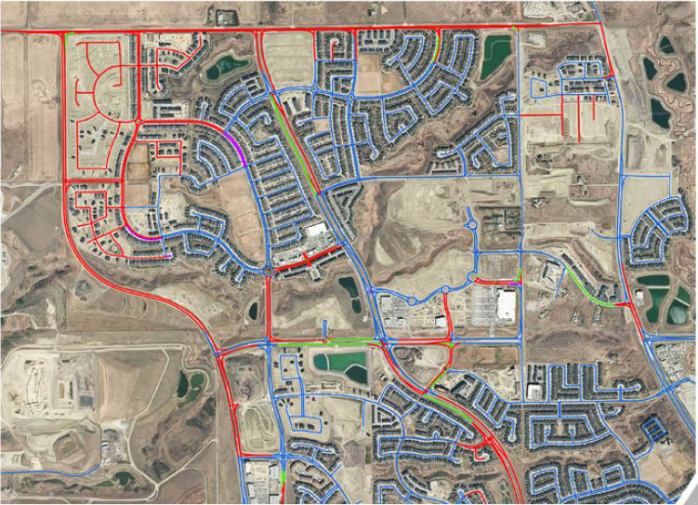 We can develop and deploy this cutting edge GIS technology to bring extra value to our clients by streamlining the collection process, saving time and reducing costs.